I know that Fall is fast approaching but I think it is too early to set up an outdoor rink in the middle of #Toronto. I heard that the Maple Leafs will probably play some pick-up hockey against all comers - they are finally hoping for some wins this season! Actually it will be a midnight launch party across Canada on Monday night celebrating the Tuesday September 11 release of EA Sports National Hockey League series: NHL '13. 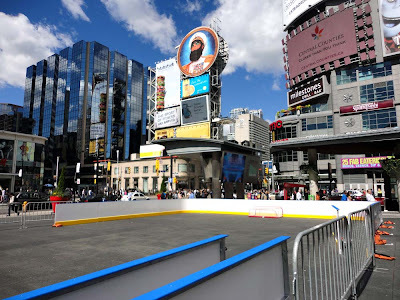 The parties will be held at EB games stores in six of the Canadian cities with NHL teams while in Toronto's Yonge-Dundas Square there will be a hockey tournament. 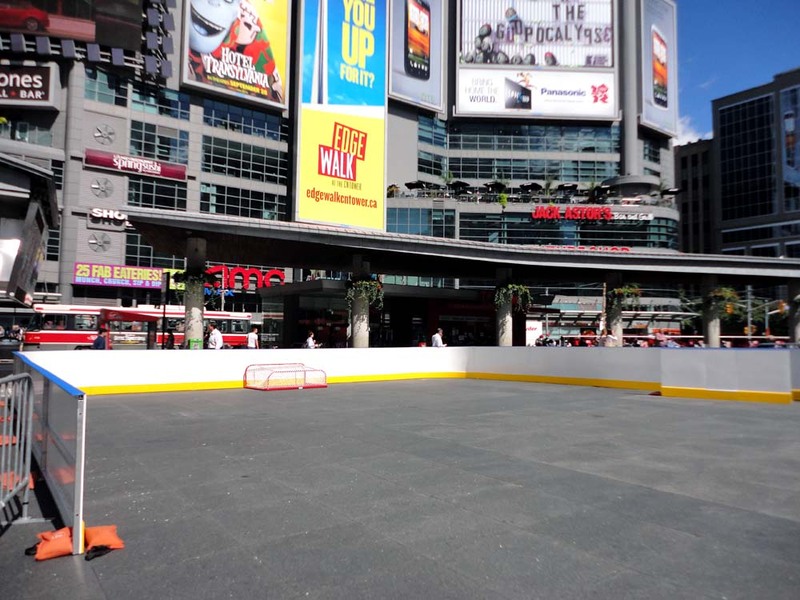 Teams will battle for the chance to be coached by Phil Kessel and James van Riemsdyk. Gamers will have a chance to play the game before it's released. Tonite athletes who will be appearing at launch parties and featured on alternate cover sleeves include Phil Kessel in Toronto, Henrik Sedin in Vancouver, Evander Kane in Winnipeg, Mikael Backlund in Calgary, Jordan Eberle in Edmonton, Mika Zibanejad in Ottawa and P.K. Subban in Montreal. Players will be autographing the team-specific cover sleeves. Besides the NHL players you can also pick up free swag giveaways. "NHL 13 is said by EA to reach a new level of in-game authenticity, in large part due to, among other innovations, its "True Performance Skating engine," which takes the physics of ice skating into account when developing new animations for player movement. As well, NHL 13 will feature a revamped Hockey Ultimate Team interface that gives gamers the ability to build teams composed of thousands of different players throughout NHL history and from numerous leagues around the world."